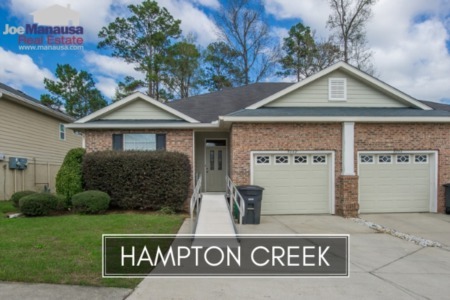 Hampton Creek is a popular neighborhood located past Conner Blvd. on Apalachee Parkway in Southeast Tallahassee. Featuring more than 200 homes that all have been built since 2004, buyers are happy to find a mix of single family detached and attached homes that are often "like new." If you caught our article yesterday (4 Reasons Townhome And Condominium Sales Will Soar In 2017 And Beyond), then you know this is exactly the product type that future builders will be bringing to the Tallahassee real estate market. Just not at these prices. 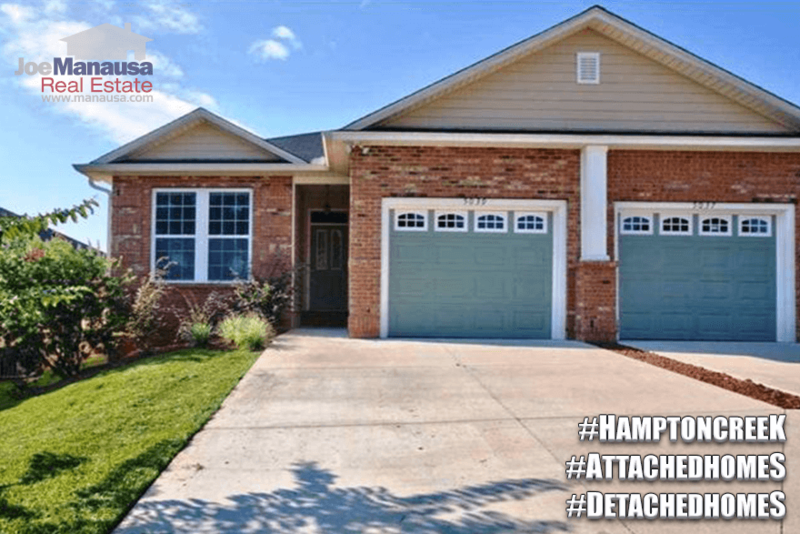 You can still find homes for sale in Hampton Creek priced below $150,000, and I promise you that will not be the case much longer. In fact, don't be surprised when ten years from now these homes start from the $300Ks. It is important to note that the narrative contained below is for sales through December for all previous years, but through ten days of December in 2016. The graphs and the closed sales table will be continuously updated into the future (meaning bookmark this page if you always want to know the current status of homes in the Hampton Creek). Average home prices have risen more than ten percent in Hampton Creek in 2016. The $155,347 average home sales price is the highest recorded here since 2010. Home sales activity has been busier this year than in any prior year for existing homes in Hampton Creek. 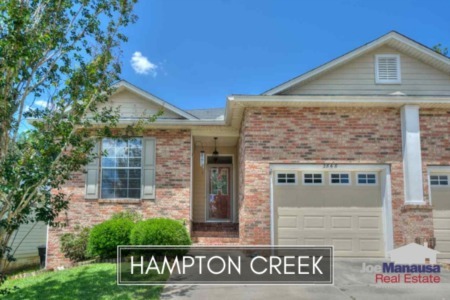 There are 6 homes for sale in Hampton Creek and 1 is already under contract, which going along with the 23 sales already closed means this will be the best year since new home sales were concluding in 2007. Average home values in Hampton Creek are up almost 6% to $113 per square foot, a decline of roughly 21% since the peak of the housing market in 2006. Values are returning in Hampton Creek! Many homeowners who have purchased or refinanced in the past 11 years most likely have little or no equity in their homes, but every time we see values rise it means that fewer homeowners are trapped by their home mortgages. The average home size sold in Hampton Creek typically falls in a range of 1,200 to 1,500 square feet, and 2016 is not any different. The 23 sales thus far in 2016 have averaged 1,373 square feet. I hope you enjoyed our December 2016 update on home sales in Hampton Creek, please feel free to drop me a note if you have questions not covered in this report.